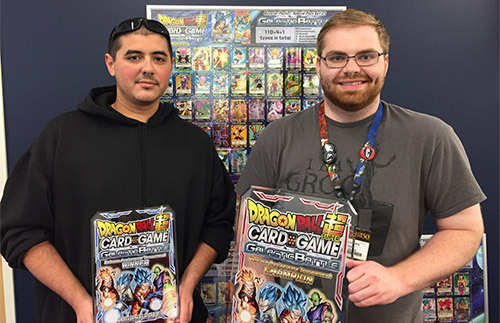 The Release Anniversary Tournament was held on 8/19-20 at Good Games Indianapolis! Tons of fierce warriors gathered to do battle, shaking the building to its very foundations! ...Metaphorically speaking. 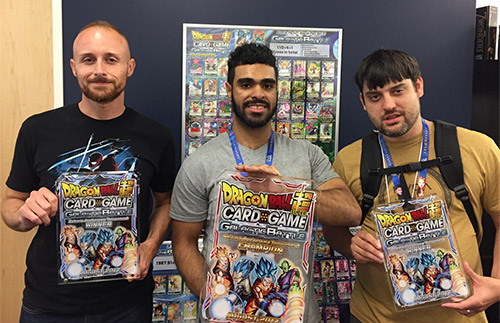 Tournament participants were treated to a sneak peek of new cards from series 2. Let’s take a look! 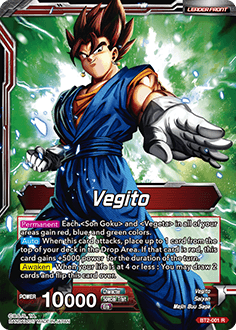 This leader card gives your Goku and Vegeta cards red, blue, and green colors. 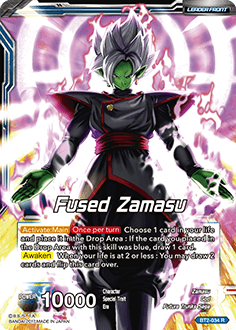 Looks like the set will feature strategies that focus on card colors! 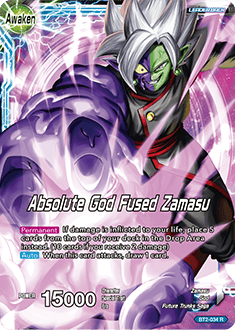 Zamasu is a sinister card that allows you redirect damage to your life deck. He has the potential to completely turn around the game! Let’s take a look at the tournament winning decks! Here are the triumphant warriors! Here’s the champion’s winning deck type! Here are the warriors who emerged victorious! Left: 2nd place/The 3rd place finisher was unable to be included in the photo. Here’s the 2nd place deck! *The champion and 3rd place finisher requested that their decks not be posted. based on our experience running this tournament. 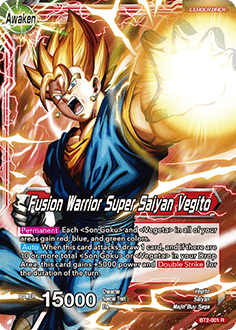 Dragon Ball Super Card Game!